I’ve started making story submissions again. Rejections are a part of that. A big part. And sometimes, they’re because you screw something up that isn’t even related to the story itself. I made a rookie mistake yesterday on one submission, spending the time to adjust the manuscript formatting to match the requirements of the market in question (“Industry standard”, but with a different font, a specific type of quotation mark, italics instead of underlines) and making sure it was exactly as requested. But my eyes skipped over the line that said they like things anonymous inside the story and to take your name out of things. Oops. Submission guidelines tell you what a magazine is looking for. If you don’t read them carefully, you won’t know what’s wanted, and you’re saying to the venue that you can’t be bothered to find out. In our case, we only accept anonymized stories. Your submission contained your name or other personally identifying information (e-mail, address, etc. ), and is therefore declined. You may resubmit an anonymized version no sooner than seven calendar days from now. Yes, I made a mistake: I didn’t read things thoroughly enough. Reject the story and tell me to try again. The response I got does that, but it does so with a very passive-aggressive tone designed to make me feel bad and punish me more than just rejecting my story would. What if I’d been a 16-year-old kid submitting my first story ever and excited about it? What if I were overcoming an anxiety disorder to submit a story to a magazine I love? Neither of those things apply, but what if I were a human being? You know, one of the ones who exists and has feelings? I have to wonder if I’ve just been lucky or if this kind of thing is common. There are old (ancient) rumours that publications and publication groups have blacklists, a file somewhere containing the names of authors they won’t work with for a variety of reasons. This is not my first negative experience in publishing, and I’m far, far from doing this for a living, so my experience isn’t all that broad, but I’m starting to wonder if I need a blacklist of publications. Or at least a grey one for markets I should think long and hard before sending something to. It’s fortunate for me that the positive experiences tremendously outnumber the negative ones, but that just makes the negative ones annoy me more. For a little passive-aggression of my own, I’ll suggest maybe I should have submitted this story on July 29th instead of July 18th. 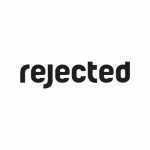 Writer folks out there: have you ever received a rejection that seemed designed to make you angry or punish you? I’m suddenly very curious about how widespread this might be.